Mixing errors can lead to poor mixing results. 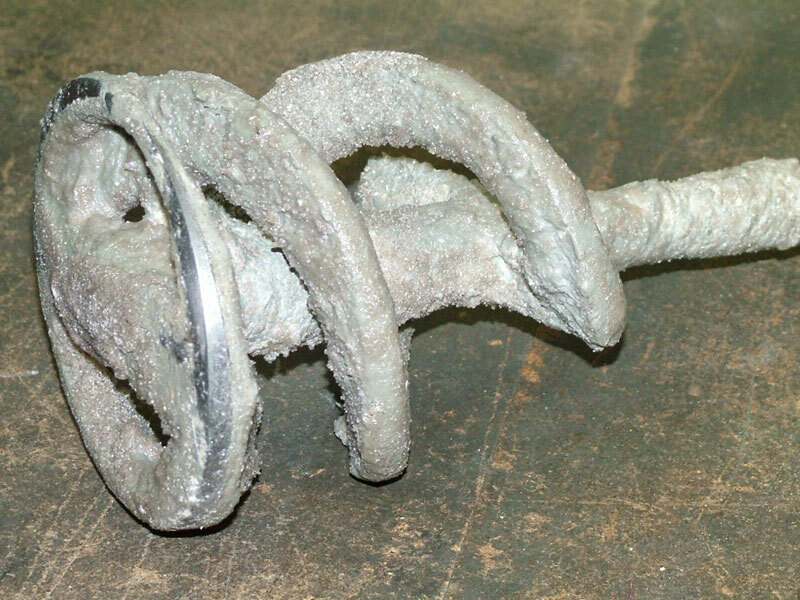 Poor mixing results can lead to serious construction damage. The digital Collomix Mixing Guide helps you to choose the right mixing equipment quickly and easily for almost every mixing material. 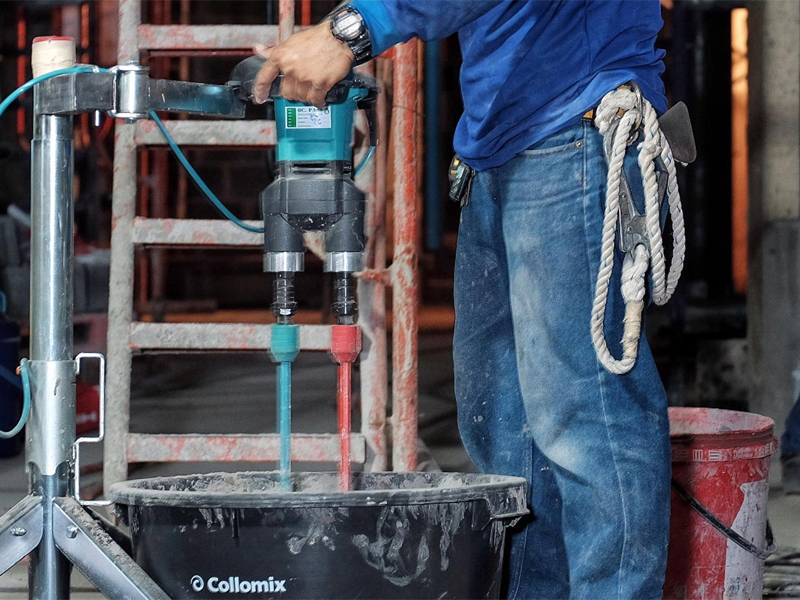 Whether you are a mason, plasterer or screed layer, it is essential to demonstrate high-performance: large quantities, heavy material: Collomix products will not let you down. 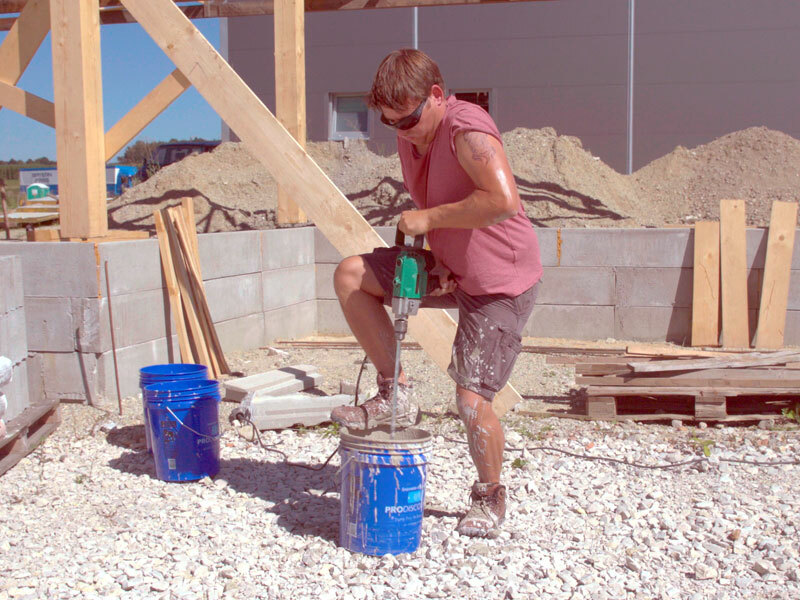 High-performance hand-held mixers assist you reliably in your tough, everyday work at the construction site, and with the right mixing paddle, they meet every demand. With the automatic Collomatic mixers, you save time and money and gain a crucial advantage. Entry-Level Paddle Mixer for mixing capac­i­ties of up to 10 gals. Rugged univer­sal Mixer for mixing quan­ti­ties of up to 17 gals. The power pack Mixer for mixing capac­i­ties of up to 24 gals. The heavy-­duty double paddle mixer for mixing capac­i­ties of up to 24 gals. You only perform your mixing job perfectly and quickly if the Collomix mixing paddle is right for your mixing material. All viscosi­ties can be mixed. Only for the Xo 55 duo mixer. Many materials require many paddles: The selection of the right mixing paddle enables you to achieve perfect mixing results in the shortest time. With our Collomix automatic mixers you save up to 50% of your valuable time without foregoing perfect mixing results. Ideal for thin-bed mortar and fillers, tile-ad­he­sives, plas­ters, screed, cement, grout, etc. Depend­ing on the viscos­i­ty, quan­ti­ties up to 10.5 gal. Auto­matic portable mortar mixer for mixing up pre-bagged build­ing mate­ri­als with ease; Suitable for up to 21gals. High perfor­mance mixer for mixes up to 13 gals. ; Ideal for almost every mixing mate­r­ial on site. Our blog provides helpful tips and stories about mixing on construction site. High, higher, highest. That is the motto of modern high-rise construc­tion. But if you want to go high, you not only need good engineering know-how, but you also have to use the perfect equipment for every step of the way. 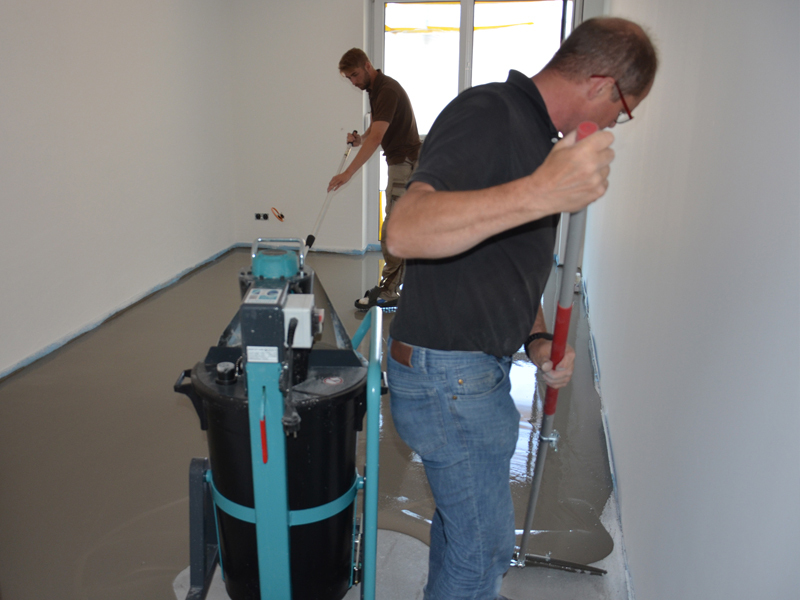 The use of the Collomix Floor Levelling Mixer LevMix 65 in the instal­lation of floor filler in a new dormitory building.